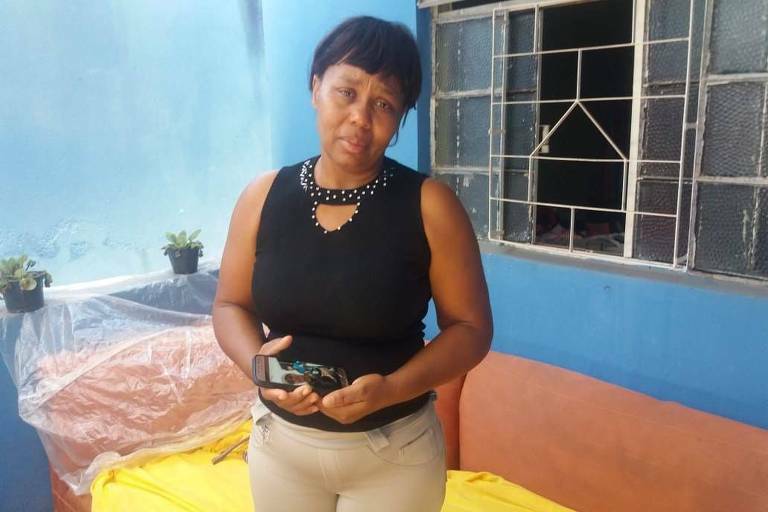 When Iolanda de Oliveira Silva, 48, saw the wreckage left by a 2015 dam collapse at Bento Rodrigues, in Mariana (MG), last year, she couldn't imagine that her family would be hit by a similar tragedy. "Mattresses, baby carriages, all on top of the roof... I never thought I was going to go through such a thing. No money can make up for this pain," she said. But everything that happened to Iolanda came with no warning. She lost her first son in 2005. Michael Felipe died at 16 years old, 19 days after being diagnosed with leukemia. She had just stopped mourning the death of her second son, Richard, 19, two weeks ago. Richard died in a crime of passion. She ended her crying at the request of her surviving son Richard's twin Robert. Last Friday (25th), Robert packed a small suitcase, because he was going to spend the weekend at his girlfriend's, prayed, asked for his mother's blessing and left at 6:35 AM to Vale's iron mine, where he had been working as a contractor for the last seven months. It was his first job. Iolanda has no hope of finding him alive. On Tuesday (29th), she felt ill at the improvised center Vale set up in Brumadinho to help the victims' families. On Wednesday (30th), the death toll reached 99, and there were 259 people still disappeared.